Seventy-five years ago folk singer Woody Guthrie penned the initial lyrics to “This Land Is Your Land,” considered by many to be the alternative national anthem. 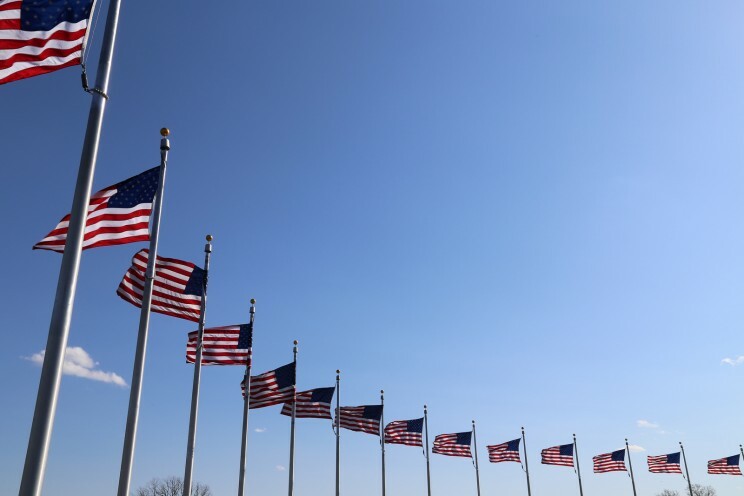 Sung in elementary schools, children’s summer camps, around campfires, at rallies, and during concert encores, “This Land Is Your Land” is the archetypal sing-along song, familiar to generations of Americans. But what most do not know is that Guthrie, the “Oklahoma Cowboy,” actually wrote the song in New York and that its production and dissemination were shaped by the city’s cultural institutions. Indeed, “This Land Is Your Land” is essentially an urban creation. Irregular in his hours, often physically disheveled, and seemingly always toting a guitar, Guthrie was a hard guest to accommodate. He lived in various places before checking into the ramshackle Hanover House, on the corner of 43rd Street and Sixth Avenue (currently the site of the International Center of Photography.) On 23 February 1940, he sat in his room and began to compose a song, inspired largely by his recent hitchhiking trips across parts of the country. On the road, Guthrie developed an appreciation for the natural beauty of America. The other spur was Irving Berlin’s “God Bless America,” sung by Kate Smith, heard constantly on radios and jukeboxes nationwide. The patriotic tune, in the form of a prayer, irritated Guthrie. It seemed smug and nonsensical, out of touch with the Americans he had met in migrant camps and under railroad bridges. It had nothing to do with his people from Pampa, Texas or Okemah, Oklahoma, struck by the Dust Bowl and dispossessed of their farms. Guthrie ripped out a piece of paper from his notebook and started to craft a rebuttal to Berlin’s “God Bless America.” He wrote “God Blessed America” on top. Guthrie based the melody on the Carter Family’s “When the World’s On Fire,” itself derived from the Baptist hymn “Oh My Lovin’ Brother.” He jotted down verses that celebrated the scenic majesty of the country and political lyrics that questioned the sanctity of private property, a fundamental component of capitalism. In contrast to Irving Berlin, Guthrie was optimistic but not Pollyannaish about the promise of America, and was not about to overlook the nation’s shortcomings. At the bottom of the page, Guthrie added, “All you can write is what you see.” He put the piece of paper away and ignored the song for four years. In April 1944, Guthrie began to record songs at Moe Asch’s studio in midtown Manhattan, on 117 West 46th Street. Moe Asch recorded mostly Yiddish music for his small Asch-Stinson label but also had produced albums by Lead Belly and Pete Seeger. Guthrie and Asch impressed each other immediately. The song witnessed other alterations. In 1945, Guthrie performed “This Land Is My Land” on the radio on WNYC’s American Music Festival and on WNEW’s The Ballad Gazette. He also published it in 1945 in his songbook Ten of Woody Guthrie’s Songs, Book One. In the songbook, Guthrie omitted the two political verses about private property and people on relief. The Great Depression lyrics lacked resonance at the end of the war, a time of intense patriotism and nearly full employment. In 1951, Moe Asch released “This Land Is My Land” on the third volume of his Songs to Grow On, a children’s song collection for his Folkways Records label. Cognizant of the audience and perhaps wary of the Red Scare, Asch, too, left out the political verses. In 1952, Decca recorded “This Land Is My Land” but did not release it. In 1956, Ludlow Music published it, vastly increasing the circulation of the song. During the 1960s, numerous artists performed renditions of the tune, eventually known as “This Land Is Your Land.” Pete Seeger and Guthrie’s son Arlo typically included the political verses. To many people, “This Land Is Your Land” represents America’s best progressive and democratic traditions. A particularly poignant version was performed on 18 January 2009, at President Barack Obama’s Inaugural Celebration at the Lincoln Memorial. Bruce Springsteen, Pete Seeger, and Seeger’s grandson Tao Rodriguez-Seeger sang it with verve, with the elder Seeger thrusting his arms in the air and leading the crowd. Born out of an author’s personal experiences outside and inside the nation’s greatest metropolis, “This Land Is Your Land” sprung to life in a distinctive New York cultural environment. Like many other musicians before and after, whether Duke Ellington or Patti Smith, Woody Guthrie was able to pursue his artistic dreams in New York and, in the process, make invaluable contributions to American culture. Cray, Ed. Ramblin’ Man: The Life and Times of Woody Guthrie. W.W. Norton & Company, 2004. Goldsmith, Peter D. Making People’s Music: Moe Asch and Folkways Records. Washington, D.C.: Smithsonian Institution Press, 1998. Guthrie, Nora and the Woody Guthrie Archives. My Name Is New York: Ramblin’ Around Woody Guthrie’s Town. Brooklyn: powerHouse Books, 2012. Kaufman, Will. Woody Guthrie: American Radical. Urbana-Champaign: University of Illinois Press, 2011. Klein, Joe. Woody Guthrie: A Life. New York: Ballantine Books, 1980. Santelli, Robert. This Land Is Your Land: Woody Guthrie and the Journey of an American Folksong. Philadelphia: Running Press, 2012. Featured Image: Acoustic Guitar. CC0 via Pixabay. 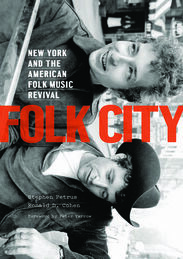 Stephen Petrus, co-author of Folk City: New York and the American Folk Music Revival, is the curator of Folk City: New York and the Folk Music Revival at the Museum of the City of New York.